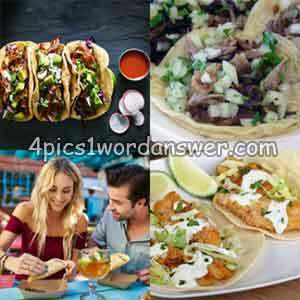 4 letters Mexico 2018 pictures description with four pics one word carnitas, asada, restaurant, fish. Discover Mexico and collect all the special edition stickers! Welcome to Mexico on September 2018 ! 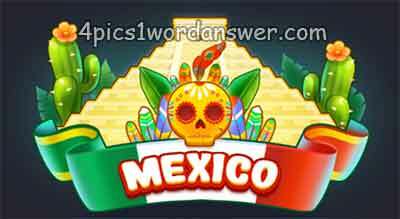 Explore Mexico from fantasic food to all night fiestas this month with 4 pics 1 word Mexico edition ! Dive into secret cenotes and search for lost treasures! solve new Daily Puzzles, Earn even more coins and win special edition badges from the 4 pics 1 word Mexico edition!